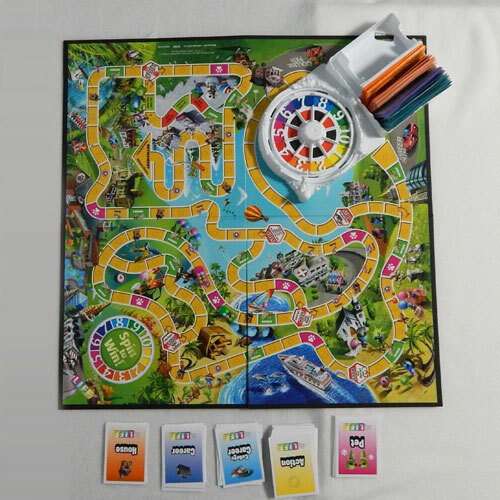 When the weather is cold and stormy outside the kids and I love to stay warm and cozy inside and play our favourite board games. During the last storm we played “The Game of Life” for the first time. Everyone had fun playing and we even learned a few new things about each other. 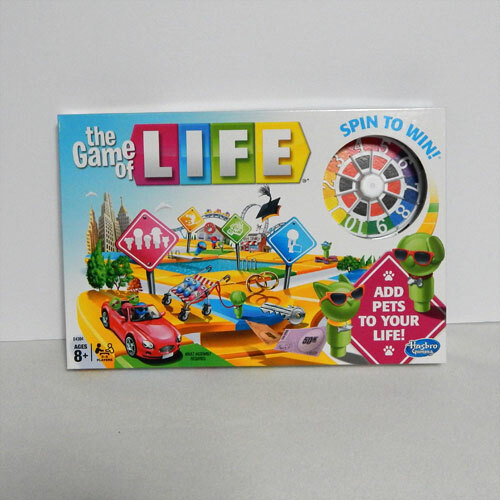 Life is full of adventure as you race around the game board in “The Game of Life”. Along the way experience surprised and make decisions about your career, family and pets. Be the player with the most money at the end of the game to emerge the winner! 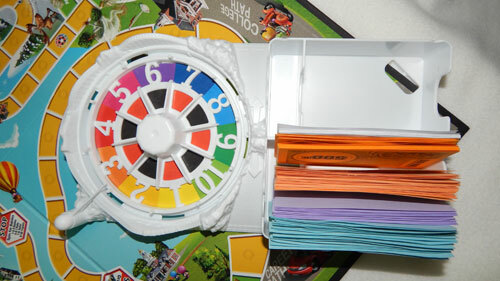 The game includes a gameboard with spinner, 100 cards in 5 categories (action, career, college career, pet, house), 5 Spin to Win tokens, 4 cars, 24 people pegs, 12 pet pegs and a money pack. Set up is quite easy, but takes a few minutes to complete. The first time you play you need to remove the pegs from their frame. Each player gets a car, matching spin to win token, 1 person peg, 1 pet peg and 200k in cash. Split the cards into 5 decks and place them on the board and choose a banker. Each player needs to choose their life path. Will you choose college first or move right into a career? The choice is yours! Place the pegs in your car and tell everyone your pets name. The game is recommended for children age 8 and up, but I believe with a little guidance younger children can enjoy this as well. On your turn, spin the spinner and move along your chosen path. On your first turn start on the career path you have chosen (career or college). As you move around the board, check out the spaces as you move and follow the instructions. 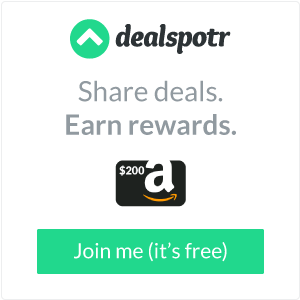 Earn money as you pass payday spaces, or receive a surprise when you land on an action space! Move around the board until you reach the Retirement space. Once everyone has retired and pays their debts the player with most money wins! I dislike the packaging of the game. The hole where the spinner is shown allows for the small pieces to fall out so we store them in a small baggie to prevent this from happening. Gameplay is straight forward. We kept the game guide close by the first time we played to help us along the way. Play was a little slow as we spent much of our time laughing at pet names and discussing our choices. 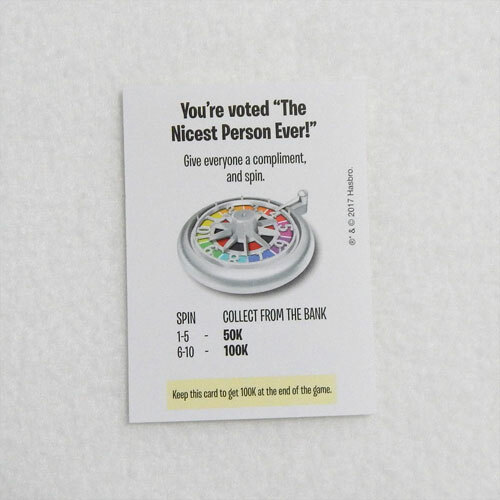 The cards are our favourite part of the game because of the tasks associated with them. We love that the cards encourage us to share things about ourselves with each other or sometimes to just be silly. Name your favourite flower, hug everyone to say thanks or explain why your forehead is the prettiest are just a few of the things you are tasked to complete! I like that there is a spinner instead of a dice to roll. 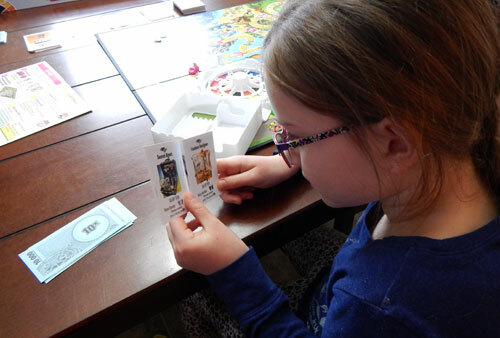 Often when the kids roll dice onto a gameboard they will roll off the table or knock over other game pieces the spinner prevents this from happening. A player can manipulate the spinner by not spinning it hard so that the chances of landing on a desired number are better. To prevent players from doing this we created a rule that the spinner has to go all the way around for the spin to count. The kids were able to work with me on their math skills by making change and counting their “paydays”. It is a little tricky because the bills are larger denominations than they are accustomed to working with. It was interesting to talk with the kids about the choices they are making in the game. Do they wish to take more risks with bigger losses and payouts or make a less risky choice? I found it most interesting to watch their decisions on making career choices. My daughter chose to do a job that she loves while my son who chose a job that made him the most money. 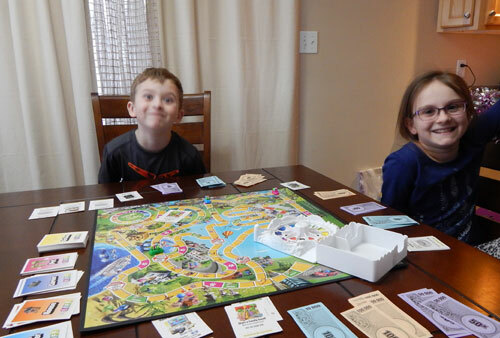 “The Game of Life” offers a family more than just fun family time, it offers a family time to get to know each other! *Disclosure: I received a complimentary copy of “The Game of Life” through the Amazon Vine Program in exchange for my review. All opinions are 100% my own.